In line with our policy of continually adding new SMART repair solutions to our already comprehensive range of products, we have recently introduced the Plastoclip, a fast and easy to use system for repairing all kinds of plastic bumpers, headlight housings and trims. The unique advantage of this hot staple weld gun, over similar products currently on the market, is that it is fully rechargeable and cordless and can therefore by used anywhere without the reliance of a power source. Fully charged the unit can weld over 200 clips. 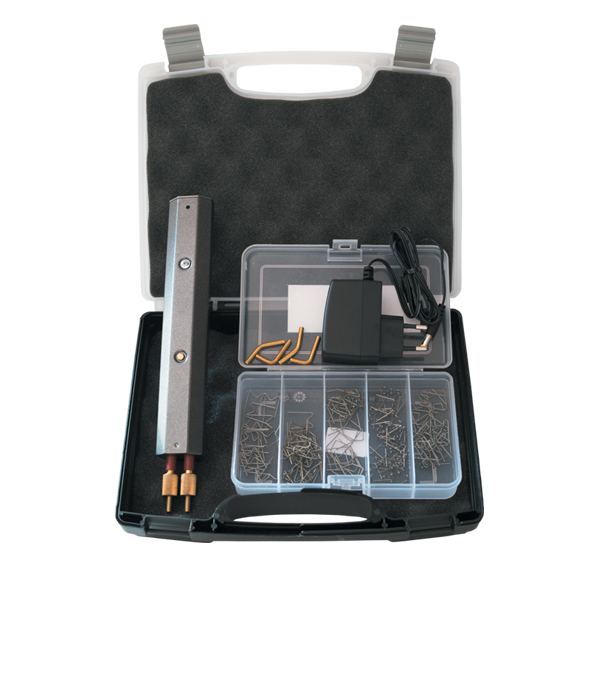 The plastoclip includes a charger, straight tips, 45 degree tips, 80 degree tips and V,M,S & W clips. For more information about our Plastoclip Cordless Hot Staple Kit click the button below to download the print friendly PDF brochure, or if you would like to receive a quote for this system, please click the request a quote button.